In this emergency podcast, Amelia Thomson-DeVeaux joins Galen Druke to discuss what comes next now that Special Counsel Mueller has filed his report. As the first quarter of 2019 comes to a close, the crew gives an assessment of state of the 2020 Democratic primary. Our "Model Talk" series returns briefly to discuss the performance of FiveThirtyEight's forecast models over the past decade. We crunched the numbers and the results are in! The crew debates the appeal of a political outsider for Democrats in 2020. They also look at the class divide among white voters how that affects their political behavior. Do Democrats Want An Outsider In 2020? Julia Azari and Seth Masket join the podcast to discuss the arguments for and against the Electoral College and how likely it is to actually change. Joe Biden has been accused of inappropriately touching a former legislator at a campaign event. Will that change his calculus about whether to get in the race? 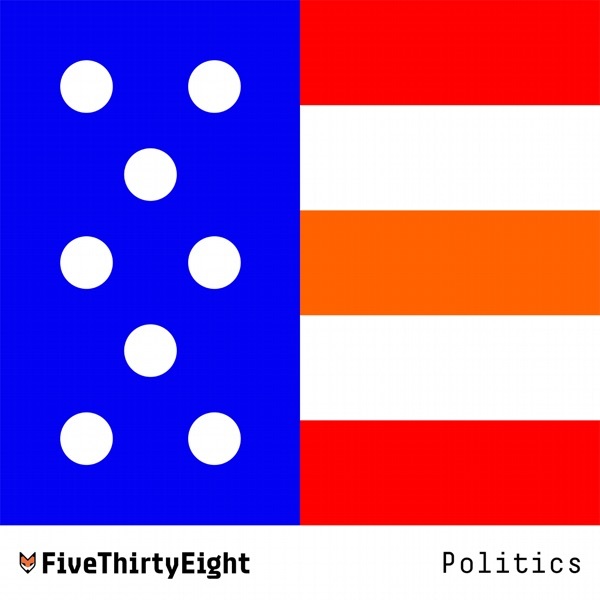 Mathematician Moon Duchin joins Nate Silver and Galen Druke to discuss a method for spotting partisan gerrymandering that the Supreme Court considered Tuesday. The crew reacts to the principal findings of the Mueller report, according to Attorney General Bill Barr. In a live taping of the podcast, the crew competes in a draft of the 2020 primary candidates. They also play "Good Use of Polling or Bad Use of Polling?" Live From NY: It's A 2020 Draft! The crew takes stock of which candidates have done the best job introducing themselves in the early months of the primary. David Runciman and Helen Thompson from the British "Talking Politics" podcast discuss the week in Brexit and what comes next. Former El Paso congressman Beto O'Rourke is running for president. The crew discusses how he could win -- or lose -- the Democratic primary. The podcast crew analyzes the divisions within the Democratic Party and makes sense of why potential 2020 candidates like Sherrod Brown decided not to run. Iowa, New Hampshire, South Carolina and Nevada. Why do those four states vote first and does the lineup make sense? The podcast crew discusses the latest candidate announcements, whether party endorsements matter, and the merits of the Electoral College. Should We Cancel The Electoral College? The podcast team reacts to a day of testimony from President Trump's former lawyer Michael Cohen. The podcast crew discusses absentee ballot fraud in North Carolina and the threat of a primary challenge to Trump. They also play a round of "Guess What Americans Think." The word is that Mueller will wrap up his investigation next week. Amelia Thomson-DeVeaux shares an overview of the legal troubles that will continue to follow the president. Sen. Bernie Sanders is running for president. The team describes both his path to success and failure in the primary. They also follow up on Trump's emergency declaration.